With the undeniable, flourishing popularity of STEM pathways (science, technology, engineering and mathematics) in soon-to-be post-secondary students, the demand and competition for university entrance in these subjects has also increased. However, there is a large, collective umbrella of excellent resources to guide IB student understanding, and enhance learning. Best of all, most of these resources do not pose a financial barrier. If students take the time and patience to listen attentively and be open-minded — a quality of the IB learner profile — they’ll find a number of ways to get a great introduction to these subjects. Without having to travel or spend a lot of money there are a number of ways to get involved in real STEM activities. Subjects such as the mathematics or computer science have countless international written contests offered by different institutions. 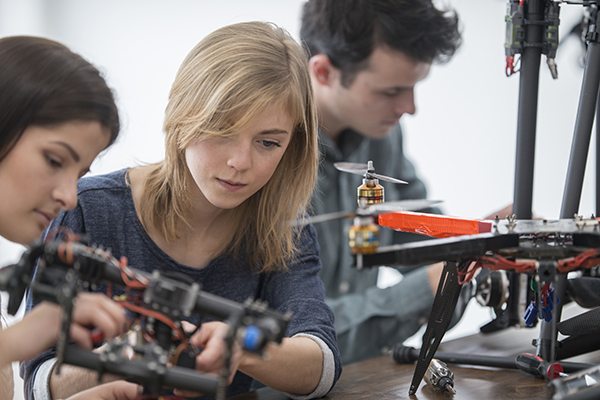 For example, the University of Waterloo has a wide range of grade-specific competitions, providing extra opportunities in secondary education and beyond to expand students’ learning. The collective list of Waterloo’s Mathematics and Computing Contests can be found here. The Ontario Science Center in Toronto, Canada. Photo by Ian Muttoo. As an extension of the regular school program, day trips are a great way to acquire hands-on experience. The core three sciences in the IB: biology, chemistry, and physics are best investigated through experiments, in which local laboratories and science centres have plenty to offer. This multi-sensory approach is scientifically proven by numerous studies to cement learning, bringing the information from the screen to reality. 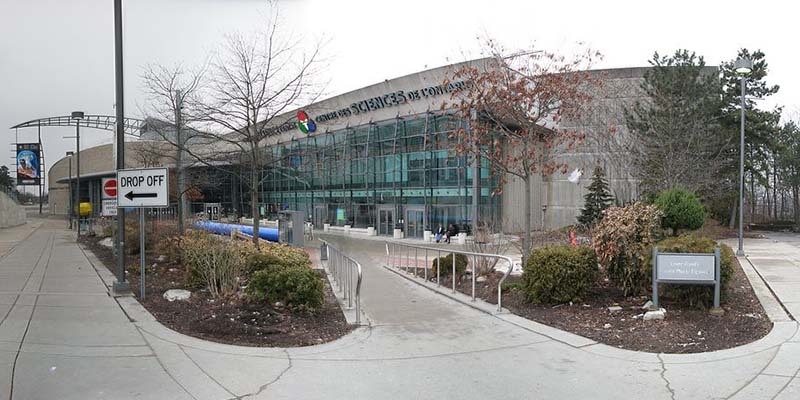 In Canada, the Ontario Science Centre is suitable for all ages and levels. With hashtags dominating the social scene and the ever-growing access to technology, many students are already proficient in using different platforms to explore, express, and entertain themselves. Luckily, social media can also be a casual and easy tool to be inspired and ask others questions – through a tweet or message! Online journals and LinkedIn also fall into this category, along with blogs. Commenting and asking questions is definitely a productive idea to explore the virtual world. Following influencers in science such as Neil deGrasse Tyson or Derek Muller (Veritasium) enhance the use of the Internet. From job shadowing to talking to senior students and graduates from a particular sector or program, networking is a very valuable resource, because it provides first-person advice and experience from individuals who have been through the pathway of interest. They will be able to share details of their journey, and that is one of the most clear-cut methods of understanding the process in which a career progresses. With over 80% of job opportunities hidden through personal and professional connections, it is not questionable as to why this strategy is considered one of the prime choices of the information age. The internet is brimming with treasures hidden within, and these include online courses, as well as YouTube channels. For example, Richard Thornley, an International Baccalaureate teacher, has videos – an exceptional study companion that focuses specifically on the IB syllabus, point-by-point, at both the Standard and Higher levels. For biology, Stephanie Castle’s videos have a similar layout to Thornley’s. Khan Academy, another resource, focuses on strong points and weak spots in one’s learning through their unique mastery challenges, with problems becoming progressively more difficult through continuous practice. Lily Li is an IB graduate from Glenforest Secondary School in Canada. She is currently pursuing her post-secondary studies in McMaster University (B.Eng. ), with particular interest in the areas of environmental engineering and meteorology.